Used in the chemical formulating and detergent manufacturing industries. They are used in wide variety of cosmetic formulations as a fragrance component, preservative, solvent, and viscosity-decreasing agent. 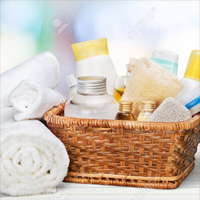 On the basis of product categories the global personal care chemicals and ingredients can be classified as conditioning polymers, antimicrobials, emulsifiers, rheology control agents, emollients, surfactants, hair fixative polymers and UV absorbers. On the basis of chemical function and properties personal care chemicals and ingredients market can be classified as active ingredients, lipid layer enhancers, shine concentrates, waxes, protein products, opacifiers, thickeners, chelating agents, humectants, cream bases, and others.